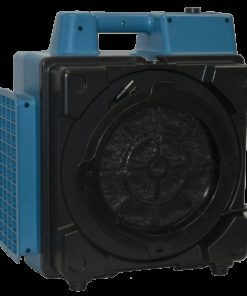 AirChaser.com only offers XPOWER industrial grade negative air scrubbing system. 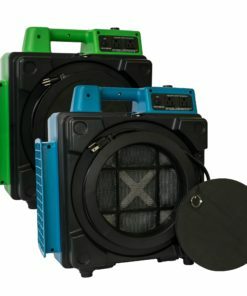 The XPOWER air scrubber system is fitted with 3 to 4 stage filtraion with HEPA and Carbon filter to effectively removes contaminants such as mold, sub-micron sized dust, bacteria, and allergens.It is a trusted brand of air scrubbers in the business general construction, confined space, and restoration. 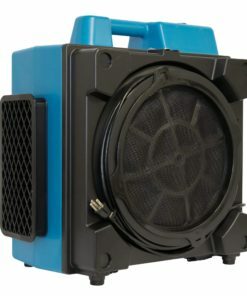 With an optimized performance that is purposely built to last long years of service, XPOWER negative air scrubbers are durable products. The cutting edge of this device is the 3 to 4-stage filtration system. 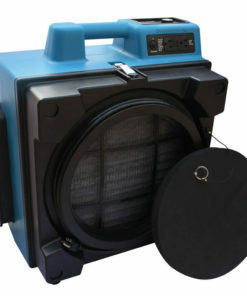 The system works by passing air through the 1st stage which is reusable and washable since it is made of nylon mesh filter. Next is the 2nd stage pleated media filter which empowers the scrubber to remove extra particles of impurities. The 3rd (optional) stage is carbon filter to elimiate odor. The final filtration process happens in the real HEPA filter. This is the most advanced phase of scrubbing procedure which captures >0.29 sized microns at a 99.97% effective rate. XPOWER Industrial grade air scrubbers & negative air machines are designed for remediation, restoration and abatement contractors. XPOWER negative pressure system works by removing the air pollution or moisture through ducting often to the outside of the building. This creates a negative pressure in the space that is being treated so the air contaminants are contained to one area will ventilated away to restore air quality. WIth advanced technology and innovated design, the XPOWER products we carry are tested and loved by many professionals.